A runny or blocked nose occurs when the tissue lining in the nose becomes swollen due to the inflammation of the blood vessels. Most of the time, nasal congestion in older children and adolescents is not serious by itself, but can cause other problems, such as an interference with the ears, hearing, and speech development. Congestion that is very bad may interfere with sleep. Preschool aged children are known to experience at least 7-10 upper respiratory tract illnesses (URI) or “colds” per year. The great news is that only 7-13% of these URIs actually go on to result in a true and real “sinus infection” that we associate with bacteria, and therefore would benefit from a course of oral antibiotics. However, the rest of those 93-87% URIs can still result in green and snotty noses with cough even after the initial 7-10 days of cold symptoms, and not represent a true “sinus infection”. · Young children can’t blow their noses effectively, nor do they sniff snot into the back of their throat effectively like we can. · They experience many more colds in the first years of life. · They consume too much dairy and/or sugar in their diet, and they are drinking milk at bedtime. Children catch an average of 5 to 7 colds each year. 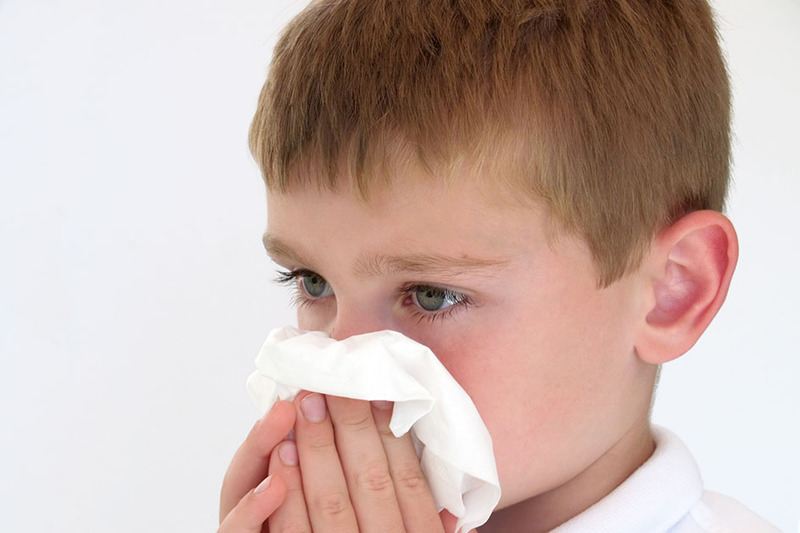 Along with a runny nose, a cold often causes sneezing, nasal congestion, cough, a sore throat and a low fever. A runny nose from a cold is worst in the first 4 to 5 days and then improves. In the case of a toddler with the flu, a runny nose is often accompanied by a high fever, headache, and lack of energy, nausea, vomiting or diarrhoea. The flu typically comes on more suddenly than a cold, and the child is likely to seem sicker than with a simple cold. Young children may also complain of sore legs or may resist walking when they have the flu.